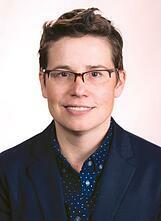 Today on the Heinemann Podcast, we’re excited to bring you a special read aloud episode with author Kate Roberts. 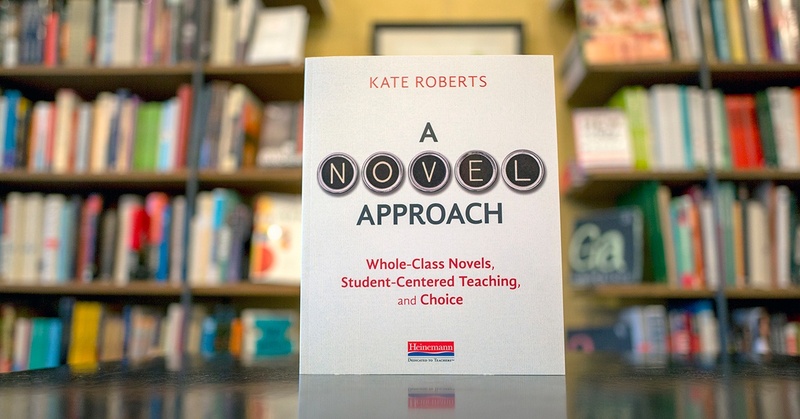 In her latest book, A Novel Approach: Whole-Class Novels, Student-Centered Teaching, and Choice, Kate takes a close look at both whole-class novels and independent reading and offers us a new balanced approach that leverages the advantages of both. My father was an English professor. He loved the novel. He loved Pynchon and Vonnegut and Sterne. He was a passionate lecturer. I grew up watching him stand court at the base of his classroom, pacing the floor, booming to the rafters on the power of prose. And yet every year he grew more and more frustrated with his students: they were not catching fire with his passion; they were not reading the novels; they didn’t get it. “These kids today . . . ,” I heard him lament more and more often as the years bore on. What’s ironic is that he was one of the people who helped me become a reader, who planted the seeds that grew the future English major, then English teacher. He shared books with me that he loved, to be sure. We read Saint-Exupéry’s The Little Prince together every year, and each time he looked me dead in the eye as we turned to page 1 and said, “This is the most important book you will ever read, my dear.” Later he gave me Cat’s Cradle, by Kurt Vonnegut, and we read that together, laughing ruefully as if we were the only two who got the joke. He gave me the books he loved, but he also gave me the books I wanted to read. He bought me Choose Your Own Adventure books and even the Sweet Valley High series (though it must have pained him to do so). This combination—guiding me into some of the books he loved while feeding my own tastes of action and romance and comics—helped foster in me a desire to read when before this there was none. It was a paradox that a man so gifted at teaching me to love reading wound up not being a terribly effective professor of literature over time (though he was a talented one). although they’re not sure what that should look like. If any of these scenarios sounds familiar to you, then I promise this book is for you. I promise that if you love teaching novels, this book will not take that away from you, just as I would never have dreamed of telling my dad not to teach the books he loved. The work of teaching students to become more powerful, independent readers greatly relies on your content knowledge and your love of literature. And if you are new to whole-class novels, I promise you that this book will show you how to use them without losing the independent, choice-driven reading of your students the way that my father lost so many of the readers in his class. When I first became a teacher, my dad was reluctant to offer his support. “It’ll bleed you dry,” he warned. “The kids,” he said, “will break your heart.” Of course, he was right. The kids did break my heart. Their beauty, their brilliance, their struggles, their maddening refusal to do what I asked just because I asked it—they broke my heart a million times over and they still do. And the profession has bled me dry. I have worked until I thought I couldn’t work anymore. I have wondered if it was worth it. I have looked at my bank account compared with those of my business-minded friends and questioned my decision-making process, my soundness of mind. Why was I working so hard? In the end though, right before he died, my dad got it. He saw what I saw. I was telling him about my class. I was telling him stories about my goofballs and how they were driving me nuts but I was also telling him about all the moments when they shined, the things they said in class, the books they were reading. I was in the middle of recounting how I had run into—literally—one of my kids on the street because he was nose-deep in a book we had found for him when my dad chuckled. “You love it,” he said. “It sounds like you’ve got some special kids,” he said. Of course, he was wrong. My kids were wonderful, but they were just like his kids, your kids, all kids. They were kids who needed my father’s passion for literature along with his deep respect for their interests, their lives. Dave Roberts was a great professor, but he could have taken some lessons from Dave Roberts the dad—the one who knew me, who honored my choices, and who read alongside me instead of from behind the lectern. Let’s learn from him now. most part the tableaus were pretty accurate—the events were the events and the emotions were the emotions, give or take a degree of feeling or two. But there was something missing. The reason why we read Shakespeare is not to grasp and say back the plot and the character traits. When we read “Give me my Romeo; and when he shall die, Take him and cut him out in little stars, And he will make the face of heaven so fine That all the world will be in love with night, and pay no worship to the garish Sun” (Act III Scene ii), it is not enough to say, “Juliet loves Romeo.” That is not full comprehension of this scene. My students’ tableaus, while perfectly fine and engaging for them (because they were doing the work instead of watching me do all of the heavy lifting in the text), did not really help them to uncover the depth and majesty of the text we were reading. The only way, it seemed, to get my kids to the deeper meaning of the text was to ask the questions for them, to guide them directly to what I wanted them to see. Unfortunately, they were also few and far between. Instead, class often felt more like a dental exam than lightning in a bottle. Most of the time I asked a question and was met by awkward silence. Three predictable hands shot into the air and the rest of the class became unnaturally engaged with something happening on the floor. I followed up with more foundational questions, hoping to build toward better understanding, but the engagement—and often the very reading of the text—was just not there. I had all of these great questions and ideas about the book, but at the end of many class periods I felt like those understandings remained mine and mine alone. While I had some special experiences with my kids when teaching this way, and while I did feel that I was modeling what powerful reading of complex texts looks like, I did not feel most of the time like I was lighting my class up with passion for reading and I did not feel most of the time that I was helping them become more independent readers, thinkers, or people. Then I began teaching in a reading workshop school. Kids chose their own books to read, with some guidance from me, and I taught into the skills and strategies it takes to read any book, pushing my students to read with volume and a sense of what’s important to think about when we read. While resistant to this teaching at first, I began to see the benefits quickly. First, my kids were reading. Almost all of them read every day, both at home and at school. And while this was challenging to get going and to keep up, it answered a question that had been gnawing at me from the get-go: How would kids become more proficient reader if they almost never read on their own? Now my kids read. Second, my kids got better at reading. I saw them improve, both in what they read (their ability to read tougher texts improved) and in how they read (their thinking as they read anything became more complex). their favorite unit of the year was, they’d say it was reading Shakespeare together. I missed my whole-class novels, even though I felt like a better teacher. Each of these ways of teaching helped me to get at something I felt was important. But each showed limitations as well. When I was teaching reading workshop I sometimes craved the community and focus and deep reading experience a whole-class novel can bring. When I taught a whole-class novel I saw many kids drop off in reading completely, others perform excellently (while depending on my guidance each step of the way), and not many got better at reading the next book I offered. There had to be a way to join these methods of teaching together, but when I gestured toward making these connections, things got tricky. Like finding yourself at a dinner party when the host couple is fighting, I realized quickly that there was a deep and long-running argument about the teaching of reading and that not many cross conversations happen. 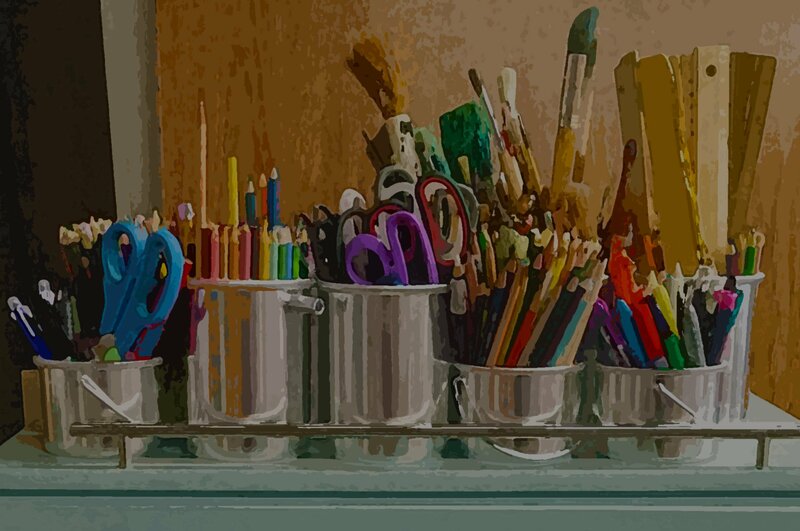 While the viewpoints at times feel entrenched and divisive, as I got to the root of each “camp’s” ideas, I found great inspiration and many places to join forces in the best interest of kids and our profession. That is the focus of this book. When I started teaching, my father told me wearily that the kids would break my heart. And they did, as all love does. Of course, so did he. Recently I found myself watching a kids movie for the fortieth time with my son. In it, the lead digital protagonists sang that now-old Cyndi Lauper song “True Colors” (1986). It’s a song I loved in high school. I sang it over and over again. Not for a friend, not for a boyfriend or girl crush. I sang it for my dad. I sang it because I loved his strong, good heart and because his life had gotten so small. I sang it in hopes that he could stop drinking, stop smoking, live his full life, and be the man I felt him to be, the one he was with me. He broke my heart then. It shattered ten years later when he had a heart attack and died in a grocery store at the base of the Sandia Mountains. There is a Japanese tradition called kintsugi, which is the art of repairing broken pottery with gold. The metaphor is an easy one: we embrace the flaws in our lives; we make beauty of the breaks. The reality is harder. My father couldn’t do it. His cracks grew over the years and even as he saw his life breaking apart, all he could do was lament what could have been. I have tried to learn from him. I have tried to use my cracks to become more open than I was, more empathic. I have tried to find new solutions to the problems that have plagued my ancestors (e.g., I bite my tongue; I don’t drink). I have tried to fill the breaks with gold. There are breaks in our traditions of teaching English, and our students need us to stop lamenting what could have been or pining for some mythical past generation of kids from classrooms of old. Our kids need us to see them for the wondrous, gifted, flawed generation that they are and to create curriculum and teaching that meet their needs and light their minds on fire. Especially when they are breaking our hearts. We owe it to them not to turn to frustration, or boredom, or irritation, or anger, or wherever these breaks might push us. We owe it to them and to ourselves to find the gold that can fill the gap between what we expected and what turned out to be true. Maybe this book can fill that gap or maybe it is something else. But I hope from the bottom of my heart that we find it.